You are here: HomenextNew contributionsnextRelph's the Chemist. 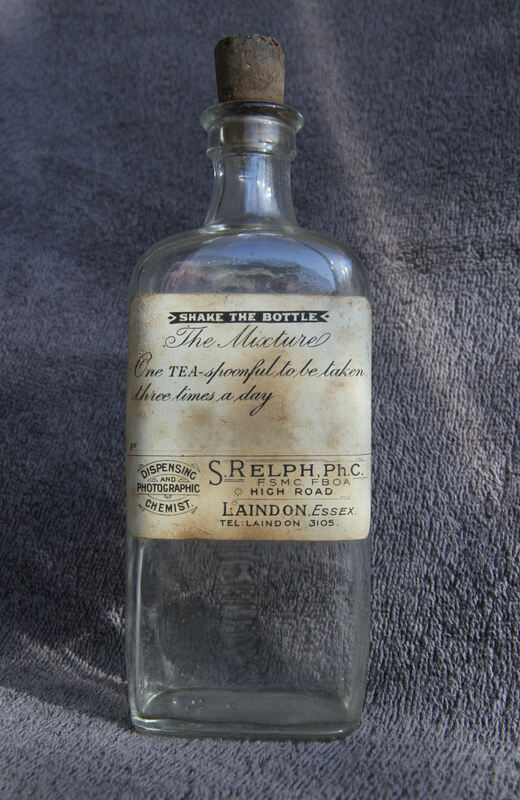 We have a few old glass bottles, one of which is a medicine bottle from Relph’s the Chemist in Laindon High Road. I’m always interested in the history of our original High Road shops and their owners, where they came from and when and why they established their business in Laindon, so I did a little bit of research. 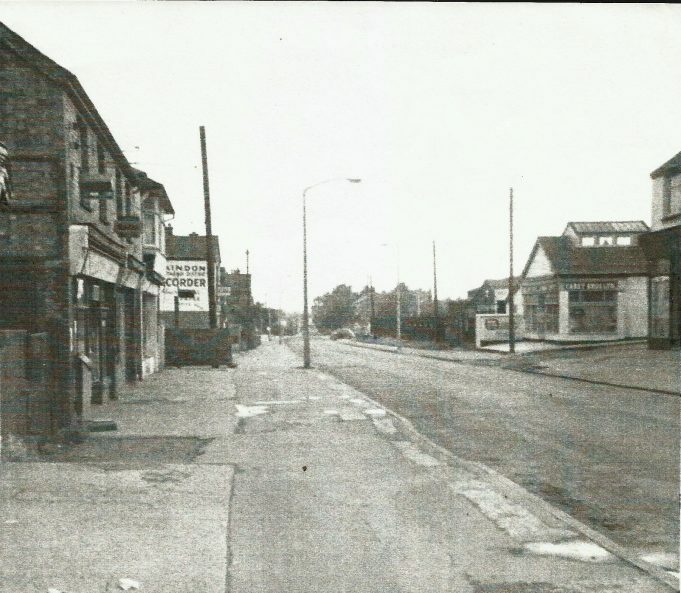 Relph’s Chemist was in the High Road during the fifties and was positioned on the west side between Aston Road and Somerset Road and stood next to a green grocers and Shepherd’s Restaurant, with Carey Brothers across the road opposite. Relph’s was eventually taken over by David Sames around 1965. Apparently Relph’s also had a branch in High Road, Vange in the forties. 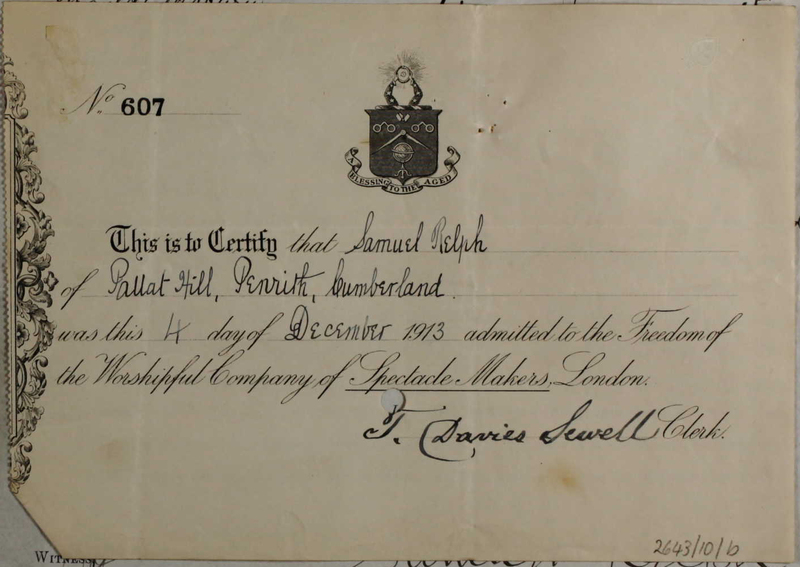 The founder, Samuel Relph was born in Westmorland in 1889. 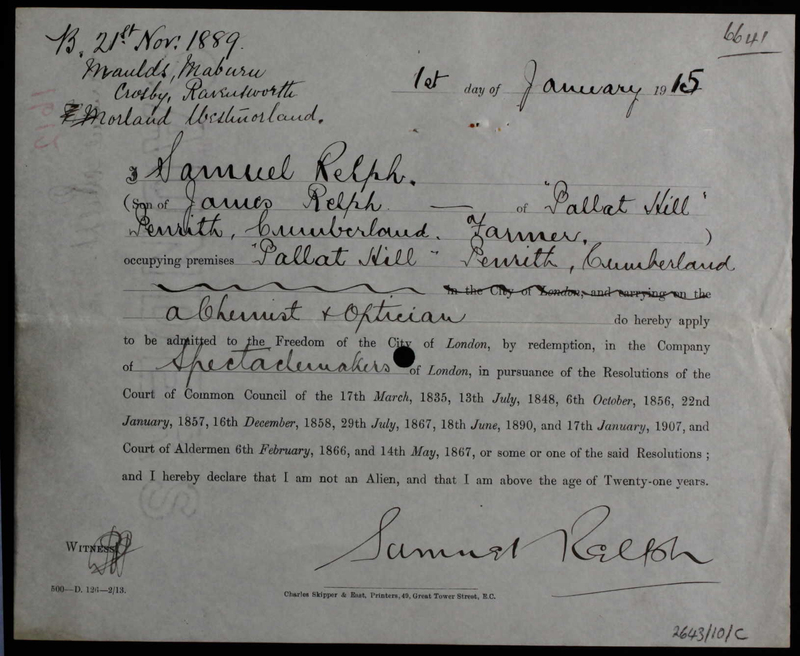 The 1911 Census shows him as a 21 year old Pharmaceutical college student boarding in Clapham, Sth. Lambeth. S.W. In 1913 he was admitted to the Freedom of London as a Spectacle Maker and Optician. In 1916, he married Velvin Boulton in Rochdale and they had three children. The first two were born in Lancashire and the third was born in Hitchin, Herts. However, the couple apparently went their separate ways, as both married other people in 1936. 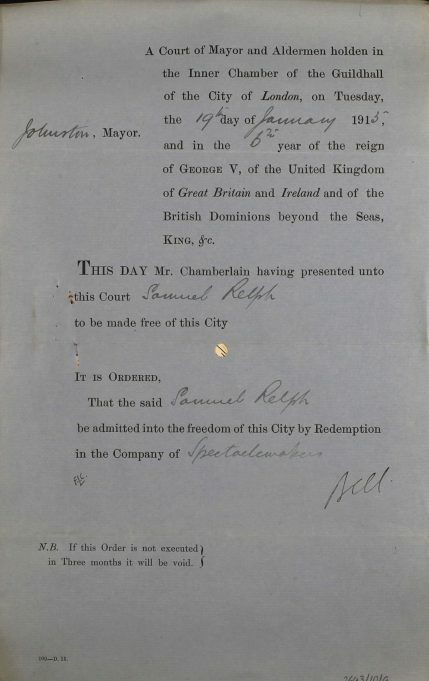 Samuel married Nellie Marianne Taylor in Rochford. The 1948 telephone directory shows him living in Drake Road, Westcliff-on-Sea. He died on 2nd February 1959, age 70. Elsewhere on this website, Alan Davies mentioned the following:- ‘Relph’s was our preferred chemist. They had a metal advertising sign on their wall. An obviously upper class rat in a dressing gown, reading a newspaper, seated in a comfortable chair is approached by a second rat dressed as a butler. The butler intones ”Madame will not be dining, sir. 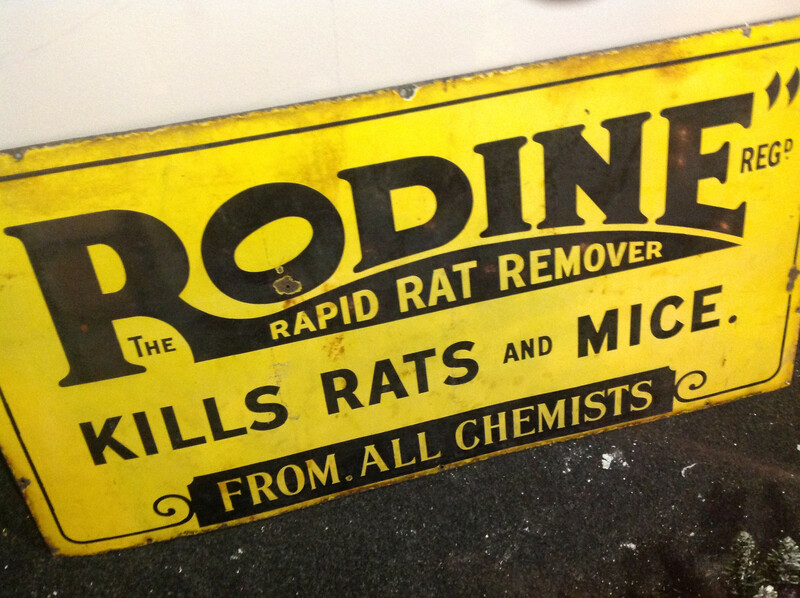 She tasted Rodine for killing rats and mice.” What a simple age’. I haven’t found a copy of the exact advertisement that Alan describes but have found one or two similar. 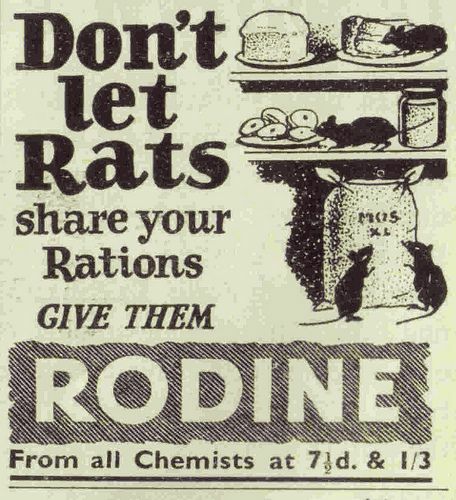 This made me think back to the fifties when such pests were common. With many families keeping chickens, rabbits etc., in their back gardens, in our then still quite rural environment, this was an everyday problem. My parents never used poisons, but I do remember mouse and rat traps being set and the horrible fly papers that were hung from ceilings. In particular, my grandparent’s bungalow, ‘Pendennis’ always had several hanging in the kitchen and living room, I found the sight of these long sticky strips covered in the dead bodies of flies quite horrific, some of them still struggling to escape. I would be interested to know when Samuel Relph established the shop in Laindon and whether he ever lived locally (I haven’t yet found any records or evidence to confirm that he did). Who managed the shop and who were the assistants? Maybe somebody remembers. RELPH’S CHEMIST, HARRY’S GREENGROCERS/FRUITIER, SHEPHERD’S RESTAURANT, LAINDON RECORDER. (CAREY BROTHERS ACROSS THE ROAD). Ellen and Alan. I have now corrected the wording below the second photo. Thank you. Hi Ellen. I am sure you are correct about Harry’s greengrocers and that the photocopied photo I used in my article was wrong. I don’t know where the photo came from originally, so don’t know who was responsible for the mistake on it. I have a print out of all shops and properties from the Crown to the Fortune East and West sides, I got it from Basildon History eight years ago. Alan. Thank you for querying the name of the greengrocer next to Relph’s the chemist. No, I’m not sure of the name. I strongly suspect you are correct and whoever put the shop names to the photo No 44 that I used in my article made a mistake. Unfortunately, I don’t know who that person was. Nina, regarding the photo showing Relph’s, Laindon Recorder, Shepherd’s Restaurant etc. Are you sure that is Cole’s greengrocer? My memory say that Cole’s was further south on the High Road, a couple of doors south of Godden’s the butcher and just north of Collings hardware. There was a greengrocer a few steps from Relph’s but I think it was Harry’s. Harry’s I remember as enjoying much less trade but being a good place to buy full sets of cigarette cards. Nina, interesting article. My memory (increasingly prone to error, admittedly) says that Relph’s was established in this location well before the 1950’s. I can remember going there during WW2. How much earlier than, say 1943, I am not sure. Our household cure all was Fenning’s Fever Cure from Relph’s. Swallowing a dose of Fenning’s was rather like swallowing petrol — or so I imagined. I wondered if the Relph’s bottle that you show might have held Fenning’s. I think not since it has the instructions “Shake The Bottle”. Fenning’s was a clear colourless liquid which required no shaking. Indeed, shake it and it might well have exploded. One of its ingredients was nitric acid. Is this still allowed today?